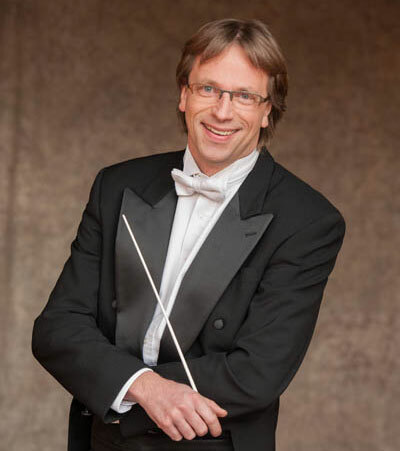 The Spokane Symphony Board of Trustees have announced that Music Director and Conductor Eckart Preu has signed a one-year contract extension through the end of the 2018-19 Symphony season, which will be Preu's farewell season with the orchestra after 15 years. Maestro Preu, 48, who has been the Spokane Symphony's Music Director since 2004, is the eighth music director since the organization was founded in 1945. Preu will continue in his role through the end of the 2018-19 season, and plans to spend more time in similar conducting positions in other U.S. cities, as well as guest conducting abroad. In 2016, Preu also became the music director of the Long Beach Symphony Orchestra in California, as well as the Cincinnati Chamber Orchestra. Under Preu's direction, the Symphony received a first place award from the American Society of Composers, Authors, and Publishers (ASCAP) for 'Adventurous Programming' during the 2013-14 season. He also helped to spearhead numerous community collaborations to engage new audiences, such as 'Uncharted' with Terrain, and 'Music Heals,' an ongoing inter-cultural partnership between the Symphony and the Spokane Tribe. Meridian Construction & Development has been selected as the General Contractor on the Super One Foods remodel in Coeur d'Alene, at 305 W. Kathleen Ave. The 67,189-square-foot building will have extensive exterior site and building exterior improvements. The interior remodel will consist of 5 phases of work in the Bakery, Deli, Pharmacy, Meat/Fish Area, and a mezzanine area with an eating area. The project is approximately 6 months in duration at a cost of $2,500,000. The owner is Young, McIntire & Gill Hoover with URM acting as the Construction Manager. Meridian is a local general contractor that has been in business for over 17 years. Meridian has built recent well-known projects such as Spokane Valley City Hall, Hayford Crossing Shopping Center and Dealer's Auto Auction. The Farm & Food Expo will bring in internationally recognized featured speakers as well as dozens of local experts to provide more than 75 class options in two days, Friday and Saturday, November 3 and 4 at Spokane Community College. This year's expo has been made possible with the support from the Office of Farmland Preservation and other major sponsors. Participants love this event for a variety of reasons because each person gets to select their own course line-up for the day. Perennial favorites include classes such as Simple Cheese Making, Why Keep Bees?, Making Electricity with Sunshine, and Brewing with Heritage Grains. Event organizers are bringing new classes as well, like Christmas Tree Farming, Keeping Chickens Alive, and Water Strategies Using Permaculture. Featured speakers are Curtis Stone and Jean-Martin Fortier, successful authors and farmers. Curtis Stone is the author of 'The Urban Farmer' and leases front and back yards for farming, making $100,000 on only 1/3 of an acre. Jean-Martin Fortier is the author of 'The Market Gardener' handbook and makes $140,000 on 1.5 acres. Both will teach exclusive classes at the Farm & Food Expo as well as be featured Friday evening November 3, in a roundtable discussion about broadening our local food system. For more information, and to register, visit FarmandFoodExpo.org. 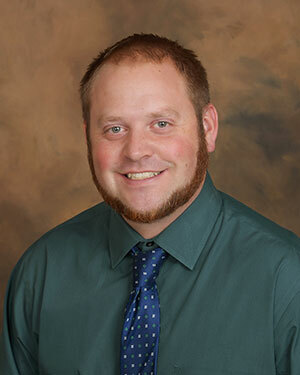 Andrew Smith has been hired as Sales Manager for the Hampton Inn Spokane Airport. Andrew was previously with Northern Quest Resort & Casino as a transportation supervisor and sales intern. His responsibilities include acquiring new group and conference business, maintaining existing accounts and local networking. The Greater Spokane Valley Chamber of Commerce's Manufacturing Matters EXPO is this Tuesday and Wednesday, September 26 & 27. This two day event showcases the region's manufacturing capabilities with exhibitors representing leading contract manufacturers, job shops, and suppliers. In addition, educational workshops, featuring industry best practices, trends and new technologies are scheduled throughout the day on a variety of topics relevant to engineers, purchasing agents and managers of manufacturing companies. The EXPO begins September 26 with the trade show running 1-4pm at the Spokane County Fair & Expo Center. A networking reception follows at 5:30 at Mirabeau Park Hotel. At 6:30, dinner begins with keynote speaker, Tom Simpson - Entrepreneur, Investor & Advisor. Tom will detail the story of founding, growing and merging etailz, highlight his investment activities in the Spokane area and provide views on the economic development opportunities and challenges facing the region. The trade show and workshops continue at the Fair & Expo Center on September 27 from 9-4pm. Registration is required for the reception and dinner. Tickets are available for $50 per person or $400 per table of 8. There is no charge for entrance into the EXPO, however, attendees are encouraged to register. For more information and to register, call the Greater Spokane Valley Chamber at 509-924-4994, or visit spokanevalleychamber.org/ManufacturingMatters. The annual Signature Chefs Auction to benefit the March of Dimes is set for this Friday, September 30 at Hotel RL Spokane at the Park. Top chefs from the area will prepare gourmet dishes and guests will have the opportunity to bid on one-of-a-kind items and experiences in the silent and live auction. Brandon and Anna Haugen from Kalispel Development Company are chairing the event. Hayley Guenthner from KHQ-TV will emcee and Rose Backs from Elite Auction, Inc., will serve as auctioneer. At the event, guests will hear the moving story of the Reilly family: Sarah, Matt, and Ellory. Ellory was born eight weeks early, weighing just 3 pounds, 14 oz. After eight hard fought weeks in the neonatal intensive care unit (NICU), Sarah and Matt were able to take their baby girl home. Today Ellory is a healthy 2 1/2 year old toddler. The Reillys will be representing the March of Dimes at this year's event. Approximately 300 guests are expected to attend the annual event that raises about $155,000 for the March of Dimes. For more information visit signaturechefs.org/spokane or call 303-305-1232. This Thursday, September 28, the West Plains Chamber of Commerce is holding a grand opening celebration with Cheney Federal Credit Union (CFCU) as they officially open their second location. There will be food served, music, giveaways and drawings. Event runs from 11am to 3pm, with a ribbon cutting ceremony at 11am, lunch served from 12-2pm. Cheney Federal Credit Union is located at 10505 Westbow Rd in Cheney. The Spokesman-Review's Platinum magazine is getting better than ever. On the heels of its second anniversary, Platinum's 'look book' is their approach to fine living, covering home decor, fashion, luxury living and travel. And now they're celebrating a passion for Food with stories and photos to help readers learn about quality ingredients, innovative culinary techniques, and home enhancements to create a great dining experience. Platinum is moving to a true glossy magazine, with 52 pages to enhance its utility and shelf life. The magazine is now also being distributed in Coeur d'Alene as well as Spokane, mailing Platinum to 30,000 adults ages 25 to 69, with household income of $75k+ and home market value over $200k+, with 8 issues a year. For more information, visit platinum.spokesman.com or call 509-459-5095.